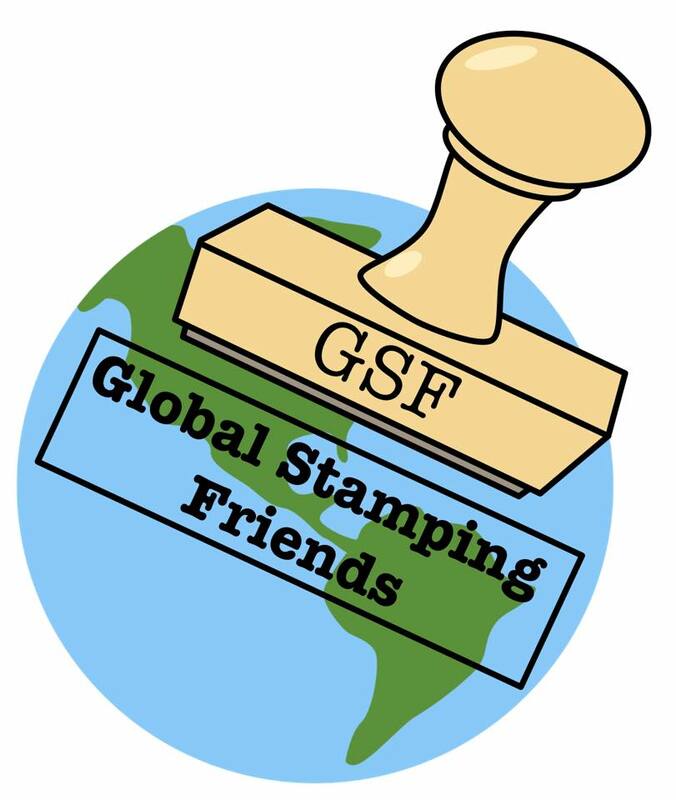 It's time to hop with the Global Stamping Friends (GSF) Blog Hop and this month we have been challenged to use colors from the Neutrals collection in the 2018-2019 Annual Catalog. You will be visiting demonstrators from around the world as they share their ideas and projects to help provide you with ideas for your own creations. Today I decided to showcase the wonderful variety of colors available in the Neutrals collection. These beautiful colors coordinate to help create wonderful projects. 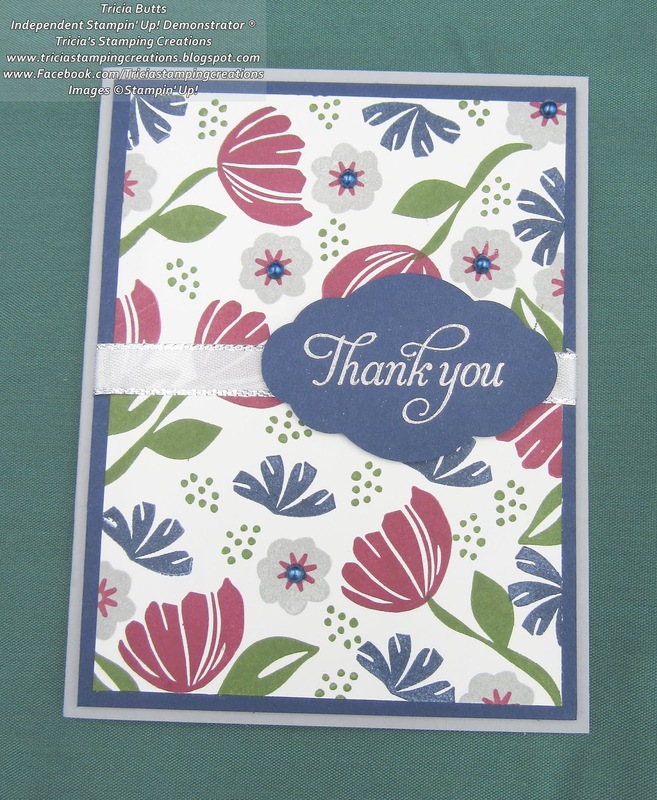 I chose to use Night of Navy, Mossy Meadow, Merry Merlot and Smoky Slate for this card design. I chose to use Smoky Slate cardstock as my card base and added a layer of Night of Navy to provide a frame for the Whisper White cardstock focal panel. 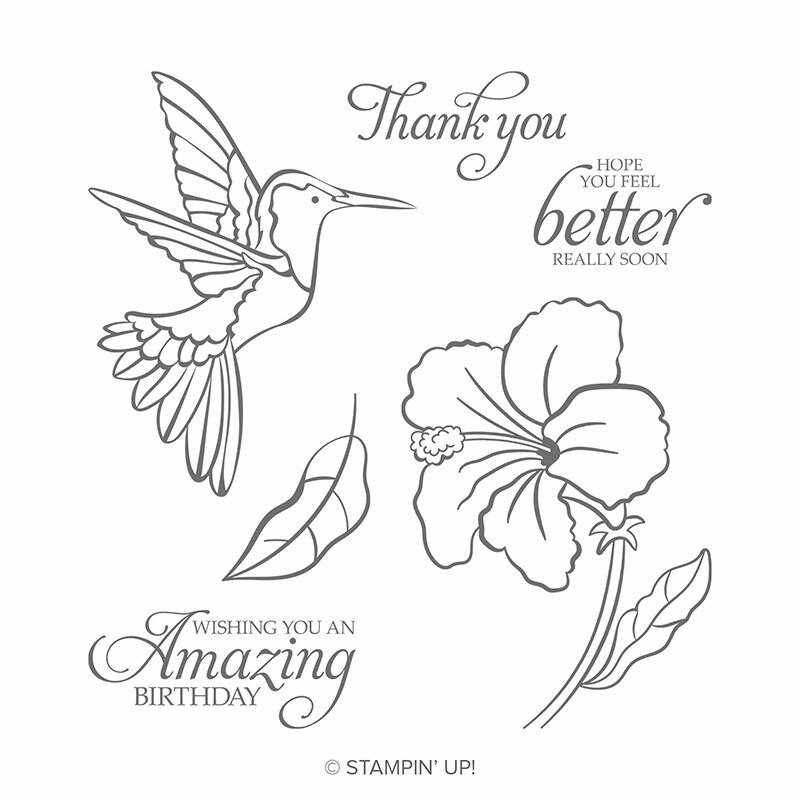 To create the background, I used my color palette with the variety of images from the Bloom By Bloom stamp set (item #148820) that can be found in the 2019 Occasions Catalog. Mossy Meadow Classic ink works perfectly for the leaves and the small dots in the background and I love how the flowers turned out using Night of Navy, Merry Merlot and Smoky Slate Classic inks. 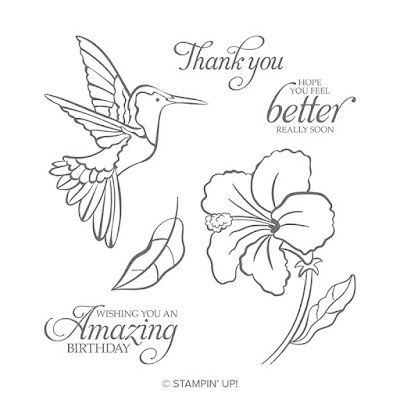 To create the sentiment, I stamped the image from the Humming Along stamp set (item #148758) with Versamark ink and heat embossed it with Silver embossing powder onto a scrap of Night of Navy cardstock. I punched out the image using the Pretty Label Punch (item #143715) and attached it to the card front with Stampin' Dimensionals over a piece of Silver 3/8" Metallic Edge Ribbon (item #144213) that I attached across the center of the focal panel. To finish off the card design, I added Basic Pearls that I colored with the Dark Night of Navy Stampin' Blends Marker (item #144039), to the centers of the Smoky Slate flowers. As you can see, it is possible to create a beautiful card design using a variety of colors from the Neutral Collection. I love the elegant look that these colors add to the design. 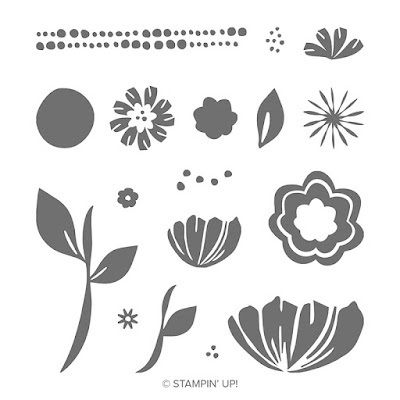 It is possible to create a variety of designs by experimenting with this collection. If you live in the U.S. and do not already have a demonstrator, I would be happy to help you with your creative projects. Thank you for taking the time to visit my blog today. I hope my card design will help inspire you to experiment with the colors in the Neutrals collection and create your own projects. Now it's time to visit Amanda's blog and see what she has to share with us this month. Just click the Next button below to visit her blog or use the Roll Call List below to find your way if you get lost. I hope you enjoy the rest of our blog hop. View the wide variety of products in the Neutrals Collection by clicking the link below. These amazing products coordinate to help you plan your projects. Your handmade DSP is fabulous. It made a great card too. Really love how those colors just pop! Even the Smokey Slate flowers look so awesome with the NN pearl! Gorgeous card!! Its surprising how many "colours" are in the neutrals when you see them together like that! Great card!